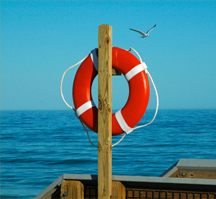 Copywriting S.O.S – does your copy need rescuing? It’s getting late: you’re on your ninth cup of tea, you’ve read your entire Facebook wall AND you’ve already paced the room three times in the last half hour. You should have written a good piece of copy by now, but you haven’t. Do you know what you need? You need rescuing. Or rather, your copy does. So, here four simple tips that will help you; they’ve helped me out loads over the last couple of years. They’re quick to master and simple to implement, so it wont be long before your copywriting nightmare turns into a copywriting dream! Most importantly, these tips will help you write better, engage your readers and meet your deadlines. Tip: I use these four different tips to help me write articles for SEO, copy for websites and press releases. I hope they’ll help you too, whatever copy you’re writing! You’ll be surprised how much a plan will help you retrieve your focus. After all, how can you write if you don’t know WHAT to write about? 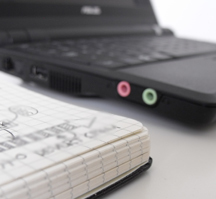 Scribble down several headings and decide what you need to talk about in each paragraph. You don’t need to write more than a couple of words for each point, just write out a very general outline. Next, reorder your copy to fit with your plan. If appropriate, chop and change around different paragraphs, but most importantly, MAKE SURE IT ALL FLOWS! Struggling to get finished? Your new plan will help you write the rest of your copy too. 2. Have you made your point yet? What’s your point? The copy you’re writing must have a point. To inform? To teach? To sell? Sometimes you can carry on writing blindly because you think the article isn’t finished yet, but all that’s really missing is your main point. So, what is your point and have you made it yet? If you haven’t made it yet, now’s the time to figure out what it is and state it. State it early on in your copy and reiterate it near the end to reinforce the point to your readers. I can’t claim credit for these points, any good copy writing book will tell you to follow these basic rules. But how often do we apply them? Rarely, right? But they do make all the difference to your writing! After spending ten minutes rewriting a sentence to no avail, you’ll be surprised how quickly you can correct the troublesome wording by applying these rules. Bonus: Soon, you’ll find yourself applying these tips automatically! 4. 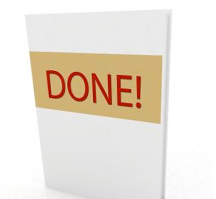 Think you’ve finished writing? Nearly finished, but not sure if it’s good enough yet? Unsure why it’s ‘not quite there‘? Go and put the kettle on, make your tenth cup of tea and take a breather. Use your ‘fresh eyes’ and give your copy a final read through. It’s really important to check your copy through all in one go after spending all day stopping and starting writing. Regularly, stop, breathe and apply these four tips to your writing when you’re struggling to get finished. I hope they help you like they help me, and feel free to include more tips in the comments section if you have any to share!